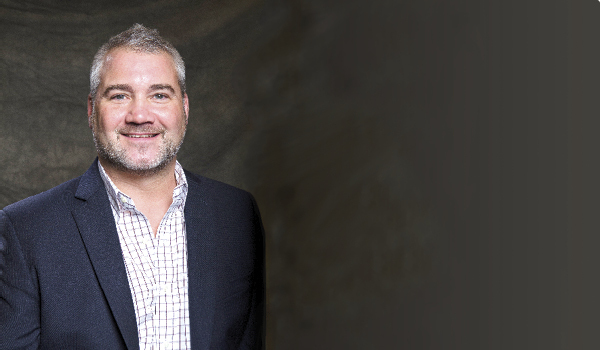 After more than 14 years in the trucking industry—at USF Group and Central Freight Lines—Dan Clark decided it was time for a change, both for himself and for the shipping community. Trucking companies were depending on legacy information systems, often inherited through corporate acquisitions, that couldn't share data efficiently. Shippers increasingly relied on third-party logistics companies to manage their relationships with carriers. And those shippers, Clark says, lacked real-time access to information about their loads, especially the costs. Spotting an opportunity, in 2008 Clark founded Kuebix, which provides cloud-based transportation management systems for both small and mid-sized businesses and larger enterprises. "Our company's mission is to bring the power back to the shipper," he says. One of Dan Clark's mentors was the late Brad Jones, president and CEO of USF Red Star. "He was the most demanding man in the world to work for," Clark says. "But from the perspective of what he taught me about work ethic and understanding people, he was the greatest person in my business life." Here's an example. After Red Star remodeled its parking garage, Jones gave Clark an edict: Every one of the 500 or so people who used the garage had to pull into their parking spot nose-first. "I don't want anyone backing in," Jones said. "It doesn't matter why." Clark started spreading the word at his pre-shift meeting. Lacking any explanation from Jones, he made one up. "It's about the infrastructure of the parking garage, load balancing—engines are in the front of the car," he told his team. Three months later, Jones was pleased to report that he had just toured the garage and every car was standing in its spot nose-first. "Why does it matter?" Clark asked. "It doesn't matter," Jones replied. "But the fact that you can get these folks to believe in something you put together, and have them all follow it—that makes you a true leader. Not once did you say, 'Oh, Brad Jones told me to do this.' That's the biggest mistake people make. They say, 'I don't know why we're doing this; the old man wants us to.'" The lesson? "You've got to be yourself," Clark says. "You have an objective in front of you, and you have to figure out a solution."